2019 is about getting out-of- my -box. I am a design explorer and in this stage of my work life I am ready to go out with a bang. So the perfect place to start is right in my backyard with something that is so not my design aesthetic. Being a “More is Better “person, contemporary minimalist spaces are not my thing, but with superb examples so close I am getting out of the house and out of my box. 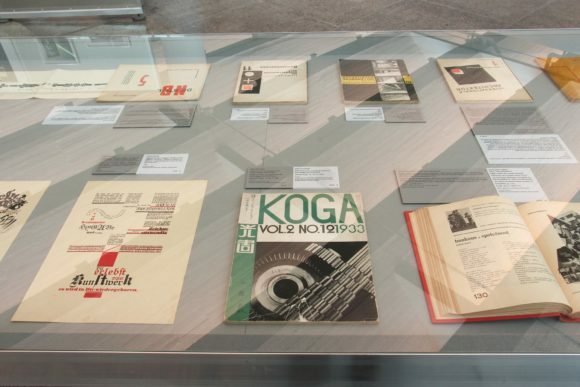 If you’re in the Chicago area check out: The Whole World a Bauhaus, the internationally traveling exhibition celebrating the 100th anniversary of the school and design that followed. The Whole World a Bauhaus makes its only U.S. stop at the Elmhurst Art Museum and explores the avant-garde work, life and design thinking at the school. Photographs, design pieces and documents highlight the projects that were produced to rethink the objects and materials around them. 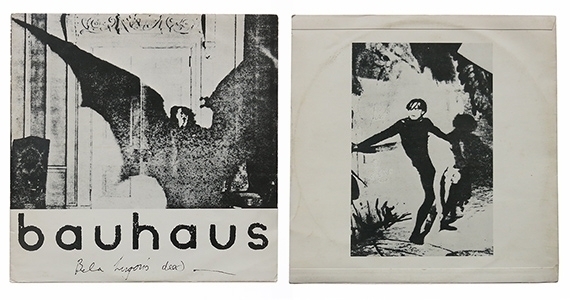 Bauhaus School, or “construction house” was the precursor to Modernist movement and has had an enduring influence on industrialization and what we know as Modern design today. Even though the school was only around for 14 years before being shut down during the Nazi occupation, Bauhaus followers believed that everyday objects should be fused with thoughtful design—everything from baby cribs to kitchen stoves should have a sleek aesthetic. Today, Bauhaus is renowned for both its unique aesthetic that inventively combines the fine arts with arts and crafts. 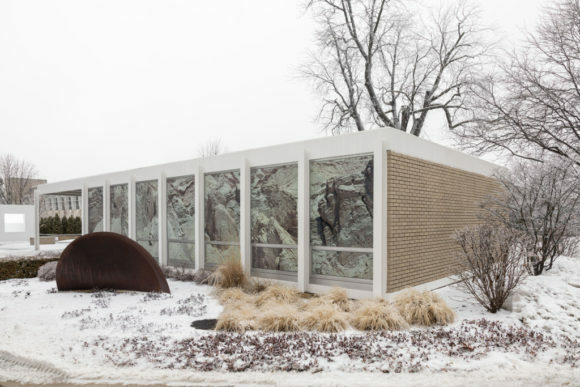 Architect Mies van der Rohe was the last director of the school before moving to Chicago, so it makes perfect sense to have the exhibit at the museum. Adding to that is that the museum’s next-door neighbor is van der Rohe’s McCormick House. The low-slung house was moved next door to the museum from its original address and is just one of three homes designed by the architect. The exhibit is open until April 20 at the Elmhurst Art Museum, It’s the only museum in the U.S. touring the exhibition. Admission is $12 and the museum is closed on Monday. 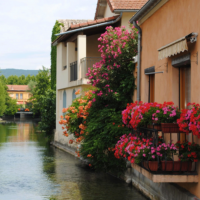 Checkout the variety of events and workshops at both the exhibit and house. Now that I am in a contemporary state of mind, next up is Farnsworth House. (I’m scheduled to take a moonlight tour next month.) Farnsworth House is one of the most significant of Mies van der Rohe’s works, equal in importance to such monuments as the Barcelona Pavilion and the Seagram Building.